COLCMS will be hosting and Out of the Box Art Studio clay workshop for ages 3+. This will take place Thursday, Oct 25 from 1:45-3pm. 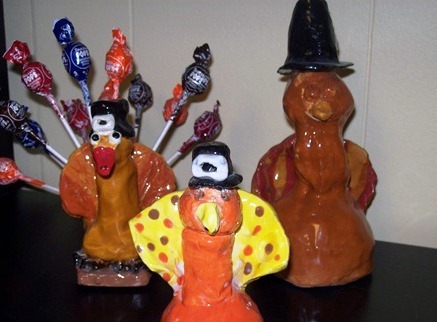 We will be reading the book "Thelonious the Turkey" and making our own turkeys out of clay. These will be returned before Thanksgiving break and will make a lovely centerpiece for your Thanksgiving table! The cost to attend this event is $12 per child, and parents are welcome to join in the fun! Please reserve your spot below!